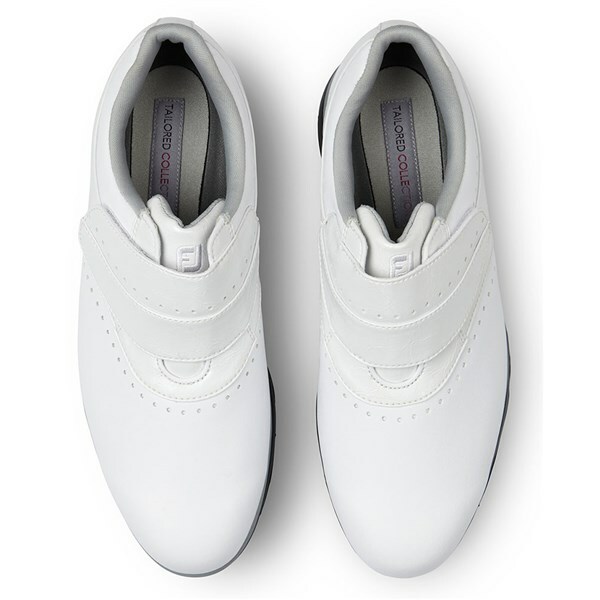 Very comfortable shoes to wear. 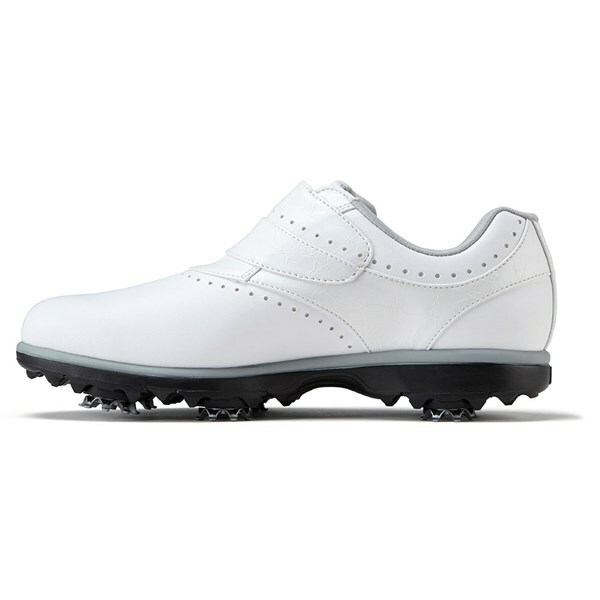 Fit like a glove and no problem wearing them for 18 holes. 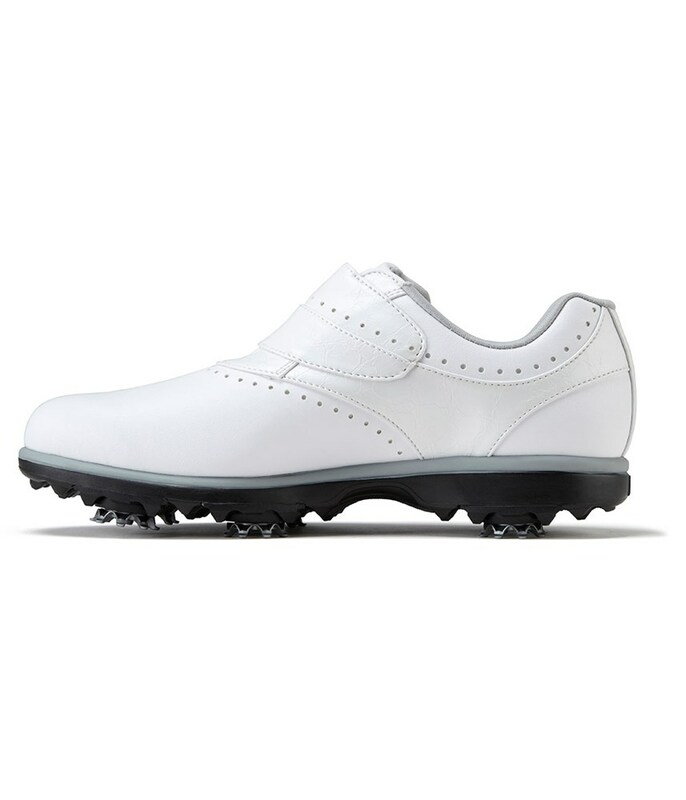 I had to get a half size smaller to get a better fit. 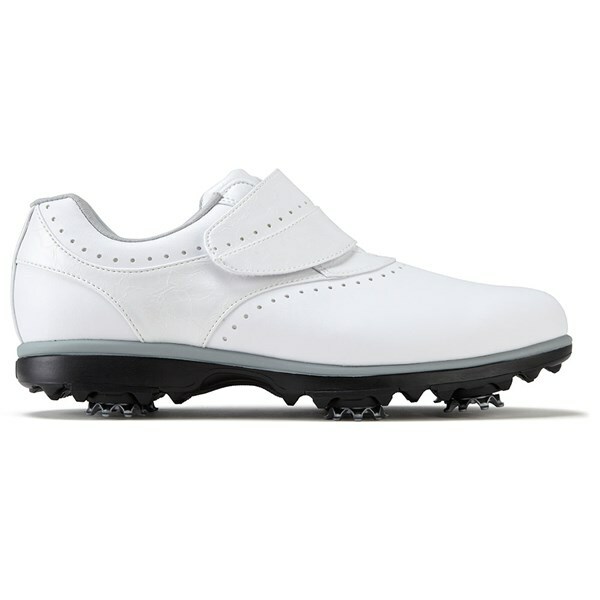 The FootJoy Ladies eMerge Velcro Golf Shoes offer lightweight cleated performance that every golfer needs. 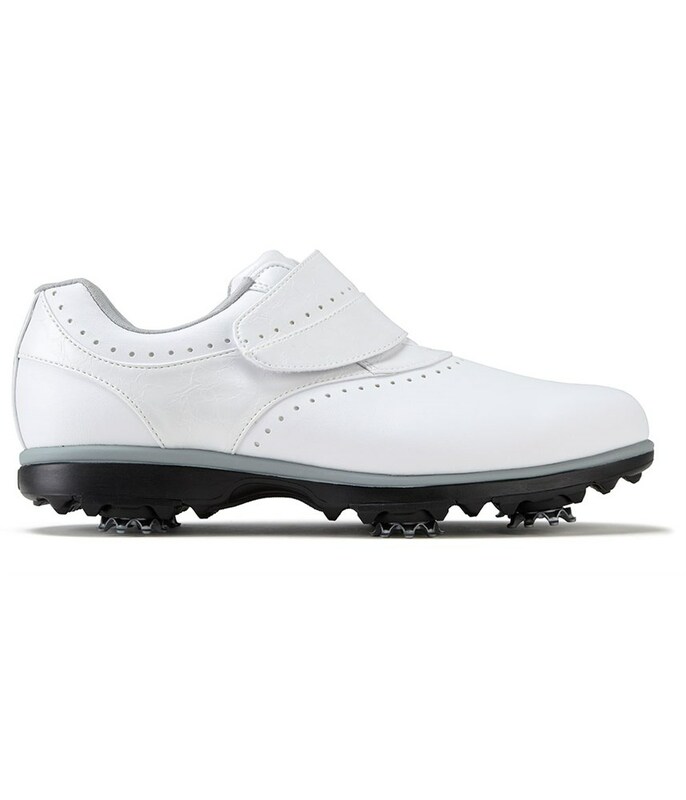 A super-soft, full-grain leather upper has been used to provide luxurious comfort, durability and a classic FootJoy style. 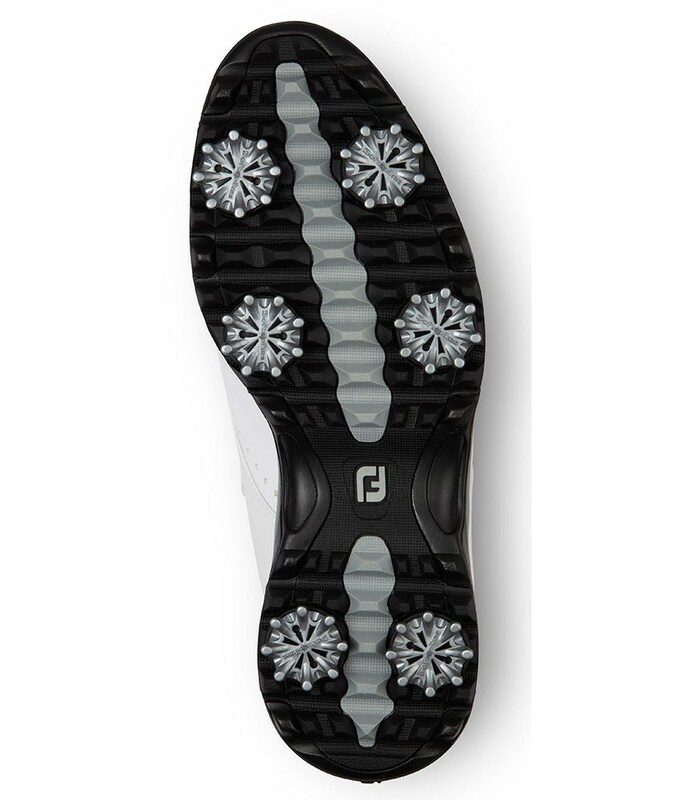 To provide exceptional underfoot comfort on the eMerge, FootJoy have also used their PillowSof™ moulded foam. 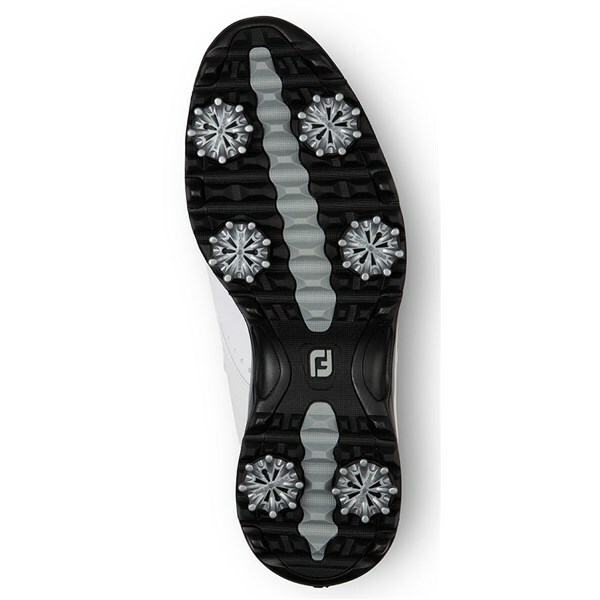 To ensure excellent traction the brand have employed a 6-cleat configuration with added grip from the PU outsole. 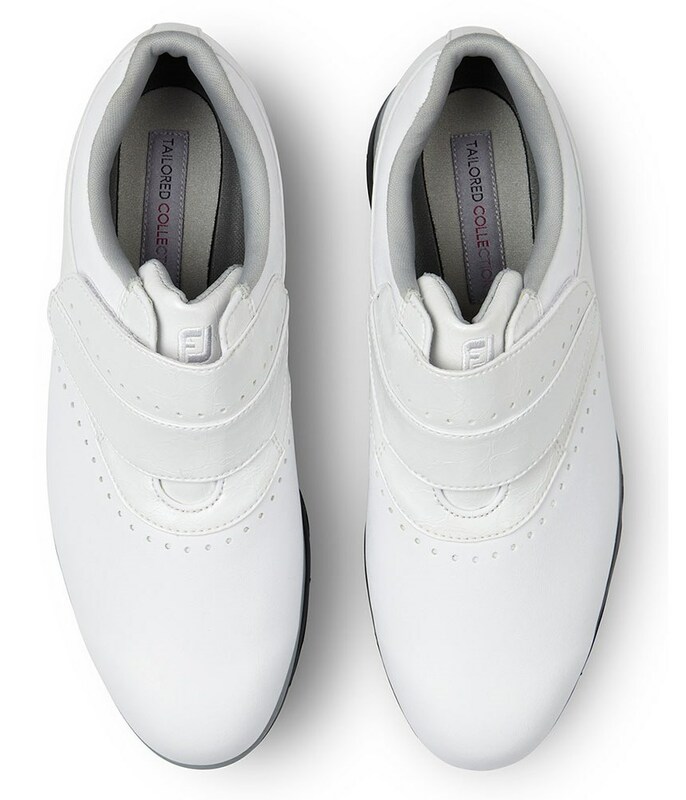 The Velcro tab provides an easier and more fashionable alternative to a traditional lace system and is in-keeping with the style of the shoe.